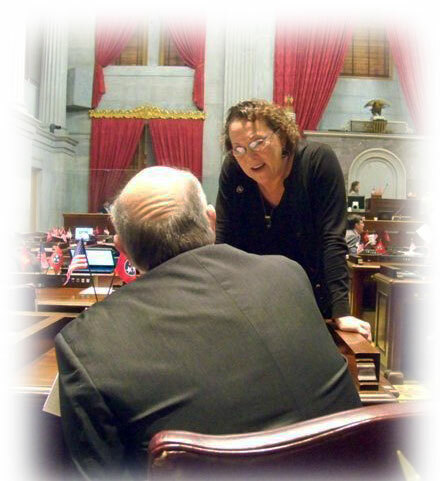 Since 2007 I have had the honor of representing the people of House District 89 in the Tennessee General Assembly. Because of this year’s redistricting, District 89 no longer exists in Memphis. I will now be seeking election for the new District 90 seat. I plan on representing this new district with the same values and dedication as I have with District 89 for these past years. During my time in the State Legislature, I have been fortunate to be able to continue my life’s mission of working to protect the most vulnerable in society, including the mentally and physically challenged, children, and the elderly. I also have held steadily to the belief that government should protect all human rights not just those based on gender, race, religion, and ethnicity but also the very basic rights to sexual identity and expression and a women’s right to control her own body. I believe that government should provide in the most effective and efficient way possible public education for all children. I agree with our founding fathers that public education is the backbone of our democracy. I believe that government has the responsibility of protecting its citizens from being preyed upon by unethical business practices such as predatory lending. It also has the responsibility of ensuring a safe and healthy environment for all of us, but especially for our children to grow up healthy and strong. I understand that we live in difficult financial times. However, much of what I am advocating will actually save taxpayer dollars. It is much cheaper, for instance, to serve the mentally ill in programs in the community rather than putting them in jail. It is much cheaper to pay for a year of quality public education than a year in prison. I ask for your support so I can continue to serve the people of the State of Tennessee in the new House District 90. With your help we can make Tennessee a better place to live for our children, our grandchildren and ourselves.